inner Temple, full of shrines to the the five gods – Isis, Osiris, Nepthys, Horus and Sethos. Each of these has their own shrine with other ‘false doors’. 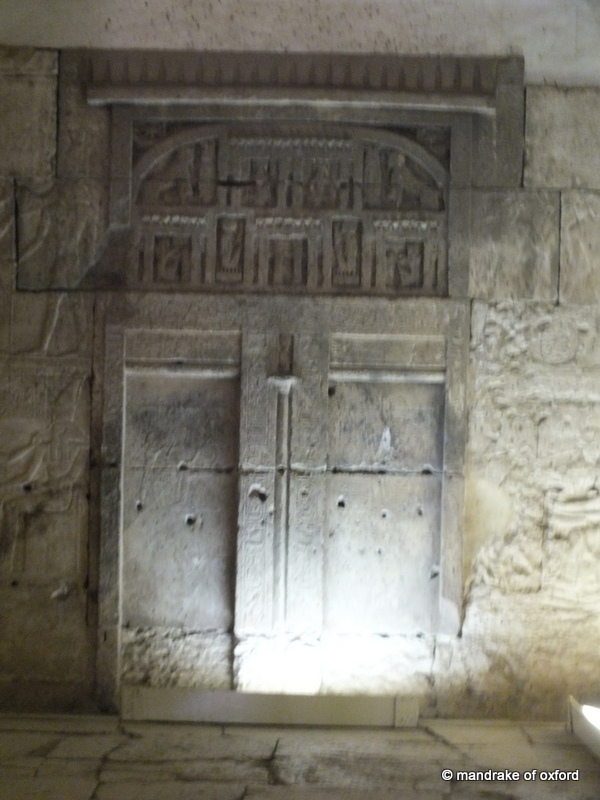 One of these ‘false doors’ leads to a secret subterreanean passageway that connects the Inner Temple to the underground Osireion. When you are ready, look for this door and go through it.